For several weeks now I have been wondering which is the right question for me. We are now ready to tackle the outside having finished the hardscape in the front, moved the mailbox and have powerwashed the deck and stone patio in the back. Now we are ready to overseed and get the scraggly lawn in shape. But we have a lot of moss growing in the grass and the treeline of the backyard stays soggy. So after getting a soil test to prepare to grow grass and near the same time learning how easy moss is to care for, I decided to change my tactic. 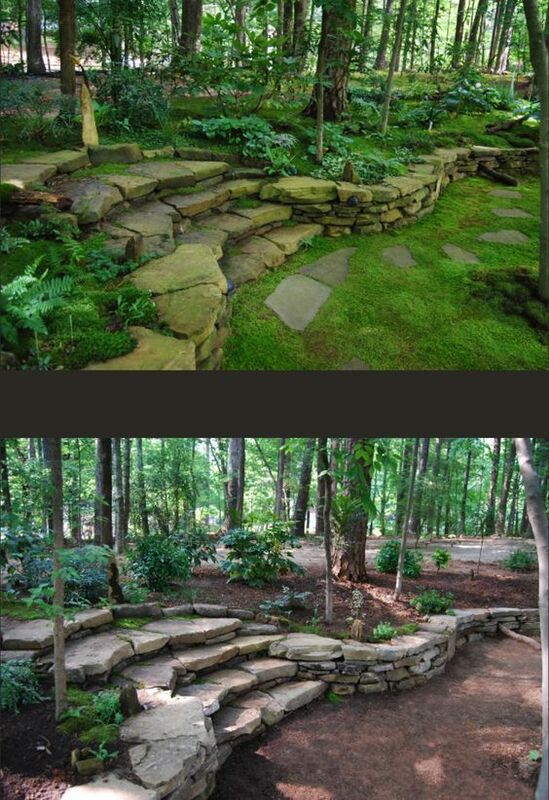 Transplant the moss from the front and side yards to the back tree line and the path leading into the woods and then overseed the front and side yards. In other words I am going to be greedy and have both grass with no moss and moss with no grass! Can you imagine if the green moss extended to at least the large oak tree and then formed a path through the woods there? What if I had ferns and other plants guiding the path into the woods? How much more lush that space would be? And just think, no mowing, treating and very little watering required! The stone is not really working for me so will move it and try something else with it. pinterest. Original from flickr – ECPR. And then there is this one that is more formal than what I plan but isn’t it pretty! I hope to plant a variety of ferns, lambs ear, bigroot geranium, hybrid astile and some native varieties of herbs and flowering bulbs. Basically a variety of shades and heights of green and as many white and pink and purple native flowering plants I can locate. So how am I spending my President’s weekend? First I cleaned out the leaf debris and twigs and fallen branches and yesterday and today I am transplanting moss. Yes, you can do that even in February! 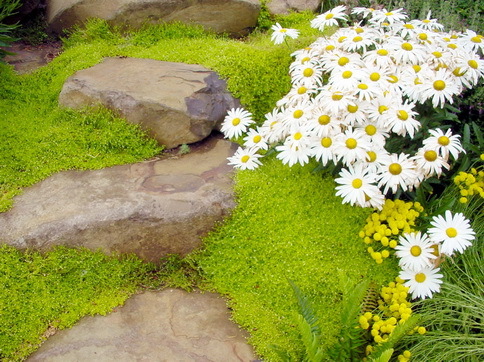 It is super easy to grow and can be transplanted from unwanted areas of the yard. Will be lush and green 365 days of the year. 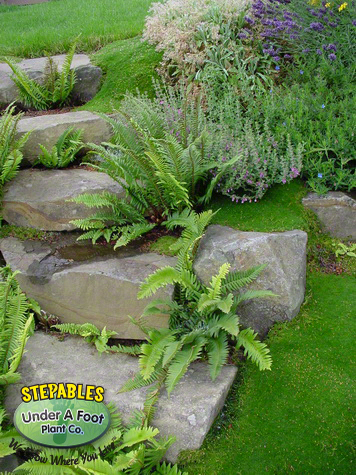 Requires no mowing or treating and will act as a ground cover choking out weeds. If starts to dry out just sprinkle it with water and it will plump back up, probably one of the most forgiving plants you will ever grow. There is a drawback, the root system is shallow and will easily dislodge. 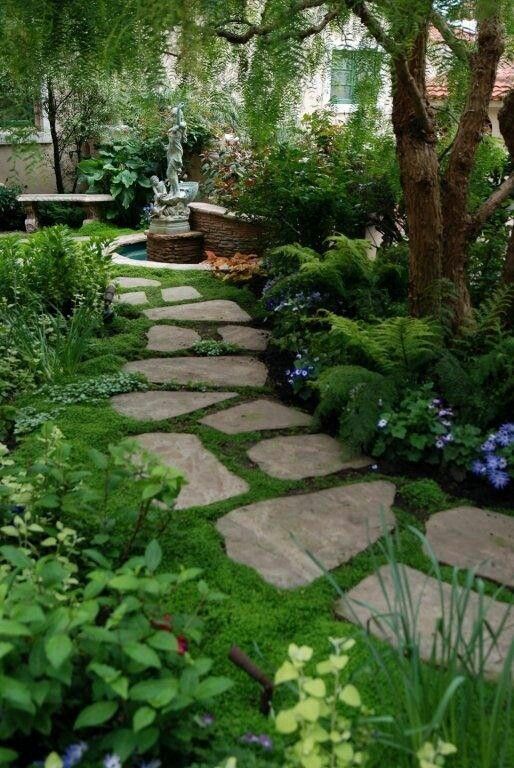 So if moss is the only thing that will grow in areas where your children or dogs may play but you want green instead of hardscape or mulch, put a fine green or black netting over the moss and use some moss picks to hold it to the soil. The fine mesh fabric sold at any craft store will work just as well as garden labeled products. 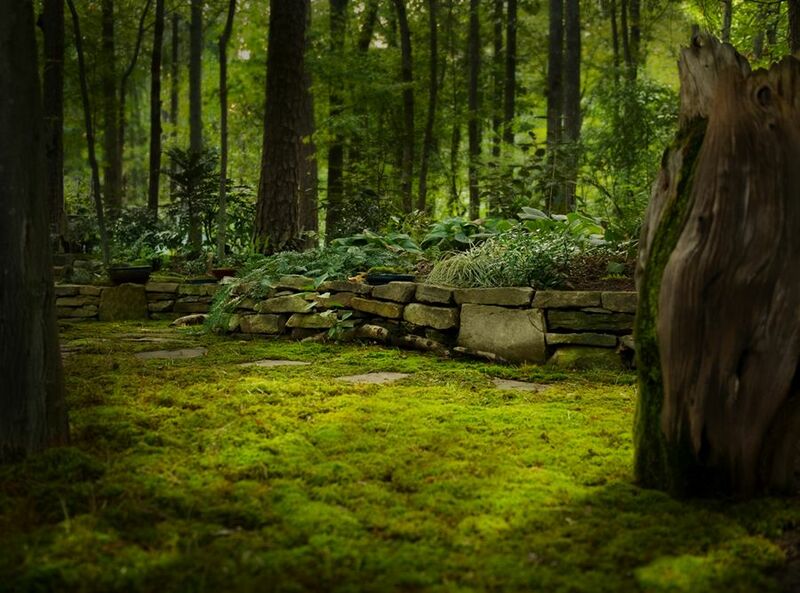 The very best source I found for information on the cultivation and care of moss is from mossandstonegardens.com. 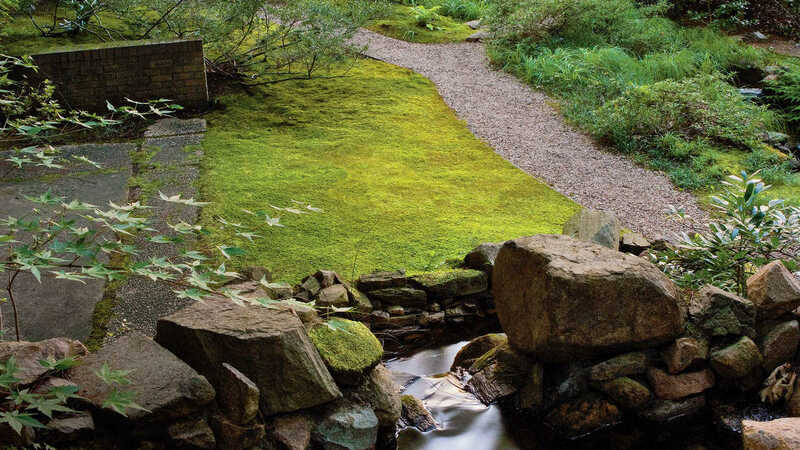 Types of moss, how to prep for growing and care are all detailed with gorgeous pictures. 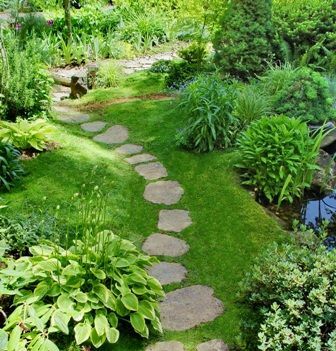 Below are images from their article on how to prep the area to grow your moss lawn. Now back to pulling up moss and stomping it down on the raked areas in the back!